As reported Wacom has today unveiled a new addition to their range of tablets in the form of the new Wacom Cintiq Companion tablets in the form of the Cintiq Companion and Cintiq Companion Hybrid. Both of the new Wacom Cintiq Companion tablets are fitted with 13.3-inch TFT LCD displays offering a resolution of 1,920 x 1,080 pixels, together with a 700:1 contrast ratio and 16.7 million colours. 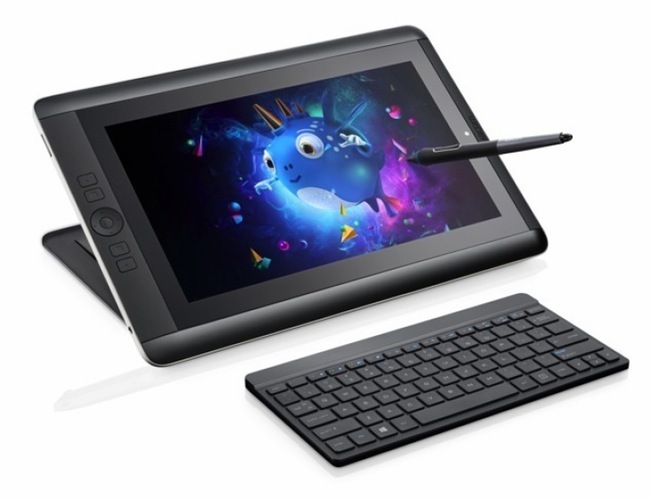 The Wacom Cintiq Companion tablet is equipped with a third-gen Intel Core i-7 processor supported by 8GB of RAM as well as HD Graphics 4000 GPU and storage provided by a fast solid state disk (SSD) with its size depending on your choice of operating system. Select Windows 8 and you have 256GB of space or select Windows 8 Pro for 512GB of storage with pricing at $1,999 and $2,499 respectively. If you would prefer to opt of an Android version of the tablet, its equipped with a NVIDIA GPU and quad-core Tegra 4 processor, supported by 2GB RAM and includes HDMI input with 16GB and 32GB storage options available to choose from, priced at $1,499 and $1,599 respectively. “The Cintiq Companion line, available in two models, enables creative professionals to work wherever they want. The Cintiq Companion runs Windows 8 and full versions of creative software and offers everything a customer would expect from Wacom’s Cintiq products. For more information on the new Wacom Cintiq Companion tablets jump over to the Wacom website for details.